Why should we bother to teach manners? Manners, in my opinion, show respect to other people. They show preference to others and also acknowledge them in ways that may seem small, but really speak volumes in this fast-paced, busy life in which we live. Manners begin in the home. The way that we teach and model manners will be noticed by others when you are away from home. Some resources to help you teach manners to your young ladies and gentlemen. A great place to begin is with table manners and etiquette. See how Mama bear helps the family to remember their manners. Crawford the Cat videos are a great resource for young students (P-2nd grade). Crawford’s Good Table Manners is a 5 minute video with a coloring page option and lesson plans you can purchase as well. Even if you choose not to purchase the lesson plans you can discuss topics that were covered in the video afterward. You could have a fun activity to follow where you serve a snack and practice good table manners. Please, Mr. Panda shows children the polite and patient way to ask for something. If your children enjoy this book, there are several more in this series. Mrs. Ruler helps her class learn the value of manners, both at home and in a public setting. Who is My Neighbor? 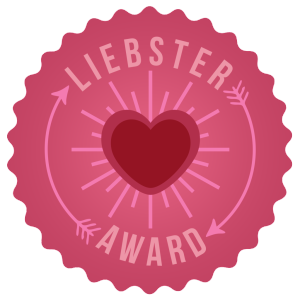 Is a full curriculum for older students about living as a Christian and being a help to others. You can purchase additional resources, such as a notebooking journal if so desired. Recently I discussed the importance of manners. This week I have a few more books to add to a study on manners. Author, Julia Cook, has written several stories about various topics about social skills. Bragging is the focus in the book, Well I Can Top That! Bradford Robert Alexander Donely always feels the need to be better than his friends. Primarily by telling outlandish tales, he appears to do everything better. His teacher helps him to see that instead of being a “one-upper”, he can be a “pull-upper”, in other words, encourage people and allows others to be number one. One of my sons had a difficult time in using what I called an “inside voice”. He also had a friend who was equally as noisy and we had to remind the boys on many occasions to consider others around them. Decibella, or rather, Isabella, is a young lady who needs to be reminded of which voice to use throughout the day. Ranging from the whisper, to a 6 inch voice, to SLURPADOODLE, Isabella must learn to gauge her voice to meet the appropriate noise level, depending upon the situation. What kind of things you can do with these books when you are reading to your children? Ask if they have ever had these situations happen to them. What ways could the characters do things differently? Why is it a pleasant thing to have manners? How can you show kindness and consideration to others. Make a list of opportunities. Discuss and practice the following social skills. I found these darling books for you to read to your early elementary students. 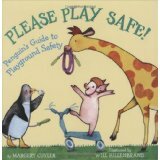 The first one by author Margery Cuyler is called Please Play Safe! The book first gives a scenario of the wrong way to act and then takes the scenario and gives the right way to act. It not only includes safety, but also ways to treat others. This can lead to great discussions to have with your child about the playground and being a good neighbor while there. 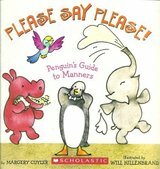 Another book in the series is called Please say Please! Here Penguin has guests over for dinner and his friends need some help in using etiquette. Just as the other book has a poor behavior scenario and a proper behavior scenario to follow, so does this book. This is a great book to use before going to Grandma’s for dinner!